Travel smarter, stay connected, and link your vehicle to your life no matter where you are with the HondaLink App. 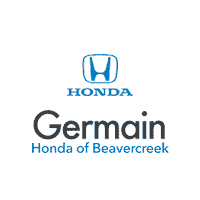 Standard on select Honda models — convenience, assistance, and service are all right at your fingertips with this easy-to-use app. HondaLink works with your compatible smartphone to manage the vehicle’s built-in touchscreen system and seamlessly connect you to your car no matter where your travels take you. Detailed vehicle information is easily accessible with the digital owner’s manual and guides. Never forget where you parked and get walking directions back to your vehicle. Schedule your next service appointment with a Honda-certified dealership. Receive important alerts if your vehicle is involved in a recall. Access 24-hour roadside service, including jump starts, lockout assistance, and more. View up-to-date mileage, fuel level, and oil life readings for your vehicle. Receive alerts when a warning light comes on or if it’s time to schedule maintenance. Search for destinations on your phone and instantly beam turn-by-turn directions to your navigation system. Save your favorite destinations to the app and easily send them to your vehicle. In the event of a crash, a response agent will check-in and request that help be sent, even if passengers are unable to respond. Get live, responsive help with towing and repair services at the touch of a button. In case of emergency, our trained agents are ready to deliver priority attention and request that help be sent. Remotely reset your navigation system back to its default state and clear any stored information on it. Easily pinpoint your car’s parked location right in your app. Enjoy VIP treatment from knowledgeable specialists who can assist you with planning a last minute trip, booking hotel or restaurant reservations, or finding special events near you. Which Honda Models Are Compatible with HondaLink?